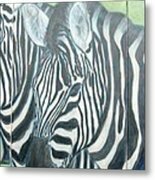 Queen duvet cover (88" x 88") featuring the image "Zebra Triptych General" by Isabelle Ehly. Our soft microfiber duvet covers are hand sewn and include a hidden zipper for easy washing and assembly. Your selected image is printed on the top surface with a soft white surface underneath. All duvet covers are machine washable with cold water and a mild detergent. Thank you Bill, so kind of you ! Thank you Xueling and Madalena ! 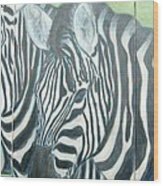 Love your zebra painting, well done, Isabelle! Thank you Callie and Carolyn ! 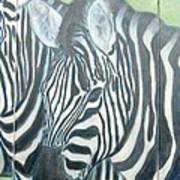 Love the zebras. Good Job! Beautiful! I love the way you've gotten "up close and personal" with the zebras. Isabelle, I love this peice.I can see this peice in a lobby or a great hall way. Beautiful work Isabelle..All the best. A FANTASTIC COMPOSITION OF THE ZEBRA'S!! I REALLY ENJOY THIS LOVELY PAINTING!! YOUR A WONDERFUL ARTIST ISABELLE!! What a wonderful painting! The colors are great. the initial impact is wonderful. Excellent composition! Well done!! Thank you , Andrei ! Ola, Gregory ! Muchas gracias por su commentario .